Stealth mode in startups and secrecy in business are usually positioned as strategies of necessary isolation, but these actions are more often entrepreneurs’ responses to fear. Entrepreneurs enter stealth mode because they have an idea or technology that is, in their opinion, too young for public exposure. It’s a business strategy of secrecy and seclusion meant to avoid alerting competitors to pending products or ideas. These stealth entrepreneurs have one major fear: that their idea is so incredibly brilliant that anyone who catches wind of their game-changing innovations will surely try to run away with them. Exposure will not kill an idea. Fear, however, is the little death that shuts down innovation and smothers creativity. Many entrepreneurs quell this fear by quietly retreating into their shells, but they are making a big mistake. Strategic isolation might work when a startup has all the resources it needs to succeed, but this is almost never the case for early-stage entrepreneurs, and it is never the case for first time entrepreneurs. Of course, some fledgling companies will succeed primarily because of the integrity of their intellectual property. These startups, often science-heavy endeavors built around a core technology or discovery, will need to patent and protect parts of their business. In those cases, it can be detrimental to share too much, too early. But the majority of startups protecting "secrets" don’t fall into this category and are retarding their growth and limiting their ability to succeed. Idea theft is far less common than most imagine because it’s only stealing if the copycat finds a way to execute. It takes about 1000 percent of a person’s energy to launch a startup, and even then most won’t succeed. So it is foolish worry that someone else will steal your idea and drive away in it. If it's that easy to steal and execute, you can be confident that someone is already working on it. Entrepreneurs must put fear aside and gather outside perspectives. The ability to seek advice early, collaborate, and adapt are the keys to startup success. Innovators might first turn to experts and friends in their industries for feedback, but those first resources don’t always provide a complete picture. Sometimes the most instructive feedback comes from unfamiliar sources — entrepreneurs and experts from seemingly unrelated industries. Take for example Dave Perry and Candice Cabe, two entrepreneurs working in two completely different industries. Dave built a device that screws into plastic soda bottles and purifies dirty water in disaster scenarios, while Candice had an idea to create a shoe that could convert from a high heel to a flat. New entrepreneurs should be transparent about their challenges, seek advice and work together to provide the world better solutions. Dave is a top engineer who had little marketing experience at the time, and Candice is a savvy businesswoman who was without the technical means to build a prototype. They met, discussed their challenges, and agreed to support each other for free. Dave helped Candice build her first prototype, while Candice connected Dave with leads to help grow his business. While this kind of collaboration doesn’t always provide perfect solutions, both ended up better off after sharing information and expertise. Had either Dave or Candice been lurking in the shadows of stealth mode, neither would have made much progress in their respective startups. According to the Kauffman Foundation, startups are driving job growth, but entrepreneurial activity has dropped off recently. Instead of silently waiting to launch a new product, new entrepreneurs should be transparent about their challenges, seek advice and work together to provide the world better solutions. That’s how we’ll create more successful startups and create more jobs. Collaboration is the winning strategy — fear is the innovation-killer. 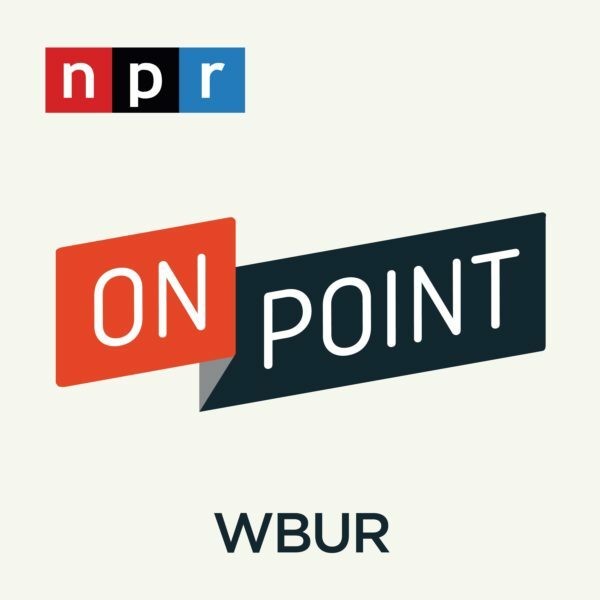 On Point: Will Innovation Save Us? This program aired on January 11, 2013. The audio for this program is not available.